DAFRS works in partnership with families with a member who has an intellectual disability or a child with a physical disability, providing family support (services, resources, and other types of assistance) that enhance the capacity of the whole family to care for one another and to sustain and/or enhance their valued social roles as family members and as members of the community. About 500 families are supported each year. 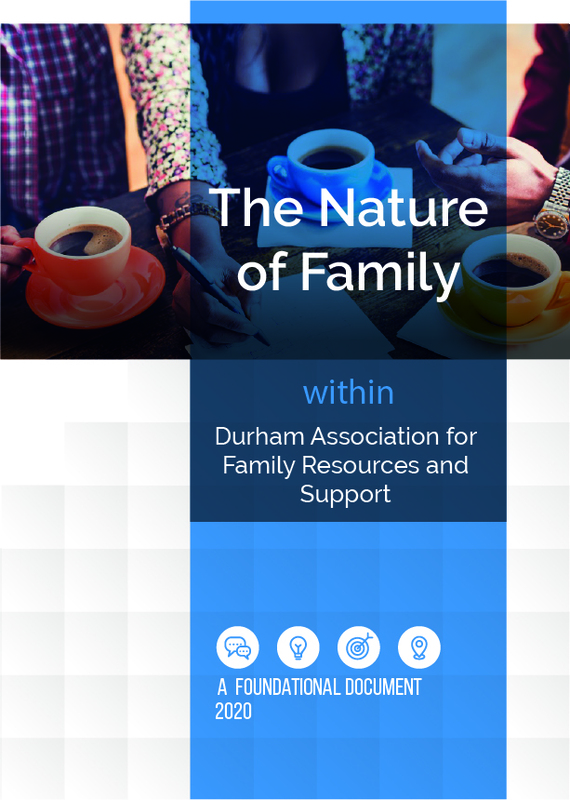 We work with families across Durham Region around individualized day and living supports. We host learning events which are open to any interested families. The Association is governed by a voluntary board of directors representing various fields of expertise and experience. Guided by clearly articulated values and principles, their focus is on the provision and development of responsive and quality service. DAFRS believes in the essential importance of good family life. DAFRS believes that communities have a fundamental responsibility to welcome and support people with disabilities. DAFRS believes that, when provided with adequate support, families provide the safest, most consistent and loving environment for family members. DAFRS believes in the importance of promoting valued social roles for people with disabilities. We believe in the essential importance of good family life. We believe that communities have a fundamental responsibility to welcome and support people with disabilities. Webelieve that, when provided with adequate support, families provide the safest, most consistent and loving environment for family members. Webelieve in the importance of promoting valued social roles for people with disabilities. 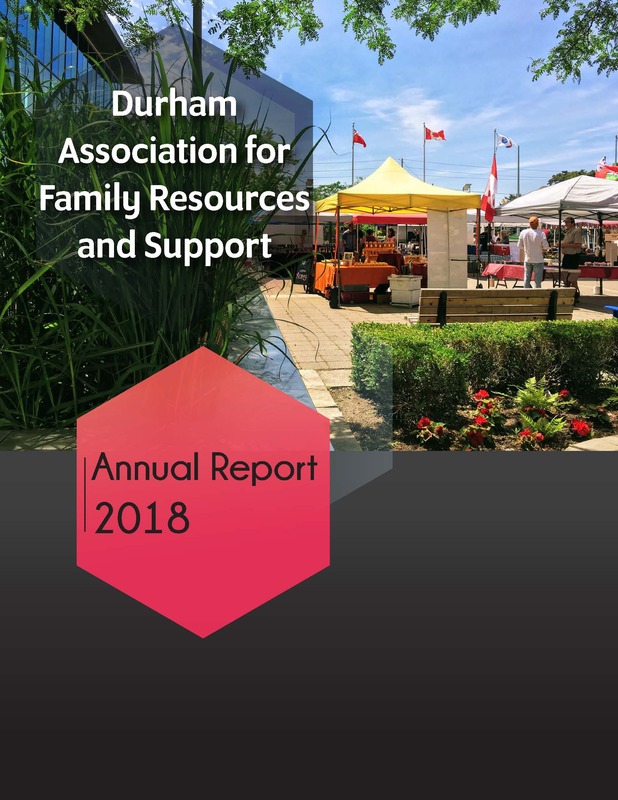 Check out a few of the resources below which will help you get to know Durham Association for Family Resources and Support. A yearly-reviewed snapshot of resources families are accessing through our organization. 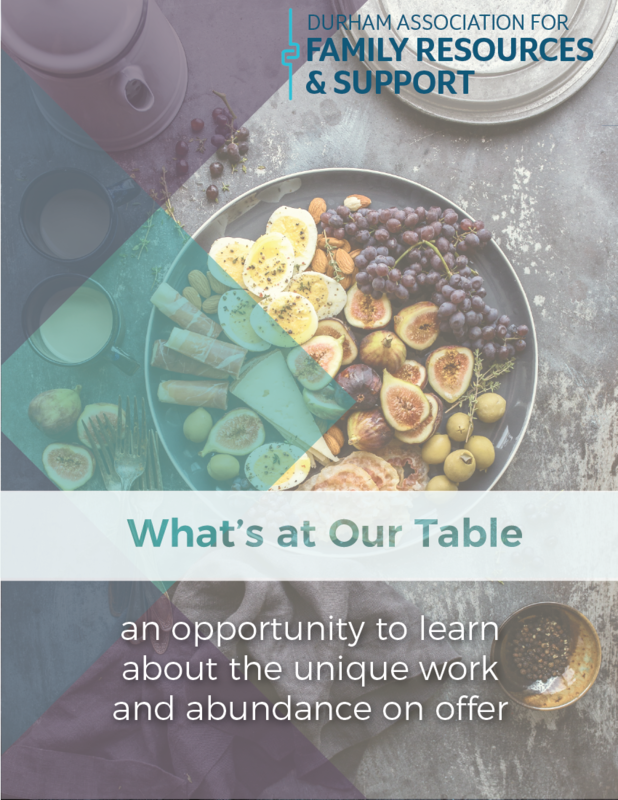 This document is important as a vision and set of principles for our organization, and much of it is a reflection of the current work that fits many families so well. A look at our work over the past year, presented to members at our Annual General Meeting.